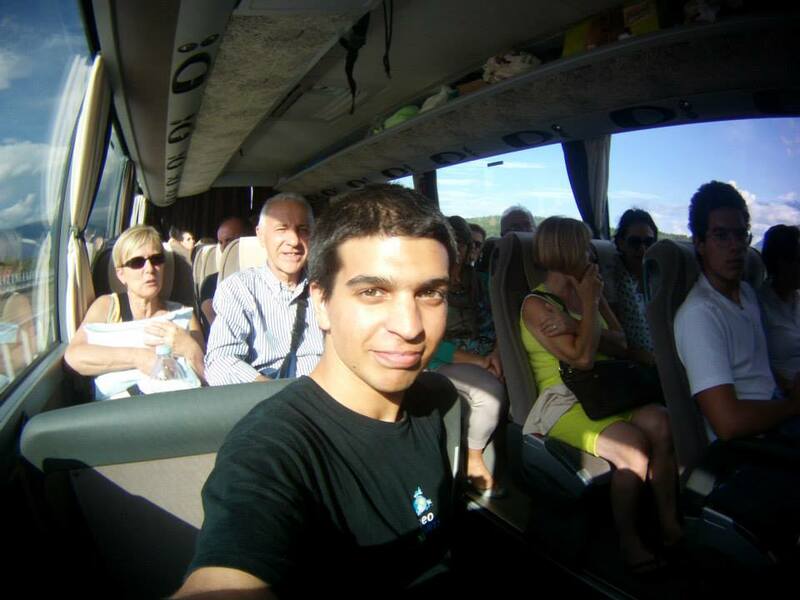 Traveling Europe with 1€ a day – Diogo tells us how! Some people use lack of money as an excuse not to travel. 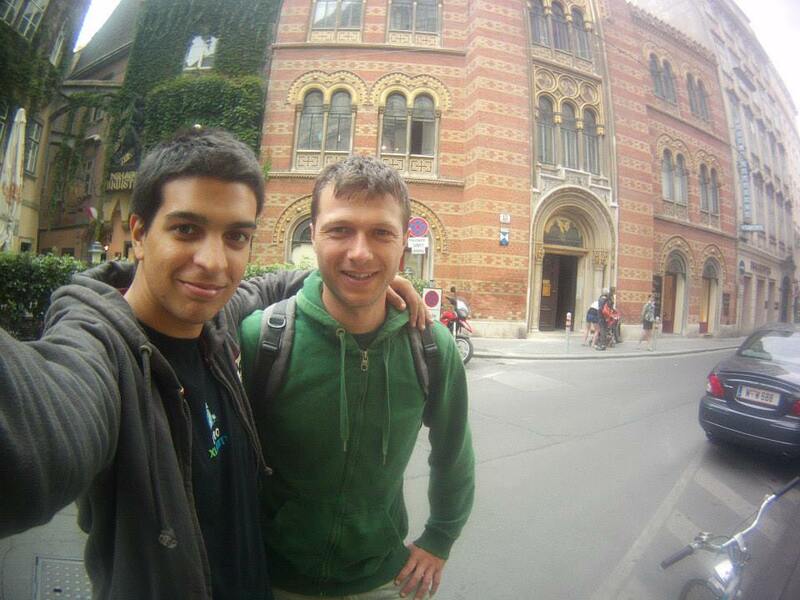 Others, like Diogo, manage to travel around Europe with only 1€ a day. There’s two kinds of people in this world: those that love to talk and those that rather do – I prefer the latter and that’s why Diogo’s story really caught my attention. 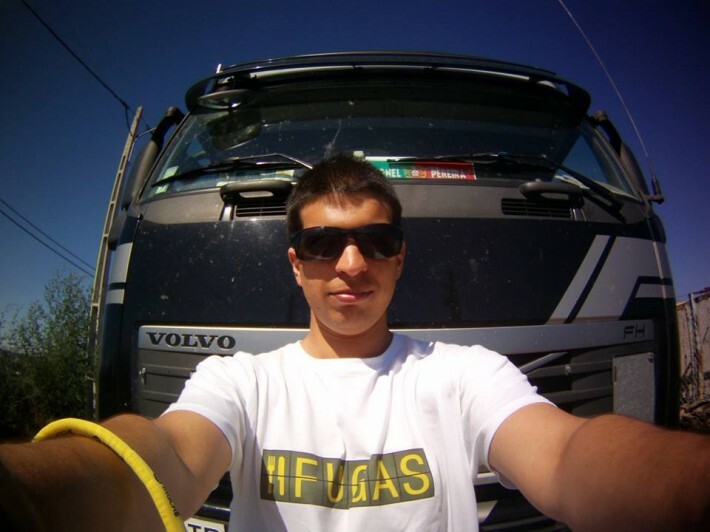 Diogo is a 20 year old Portuguese student, who is clearly passionate about adventure and, considering his tiny budget, doesn’t fear improvising and going with the flow. 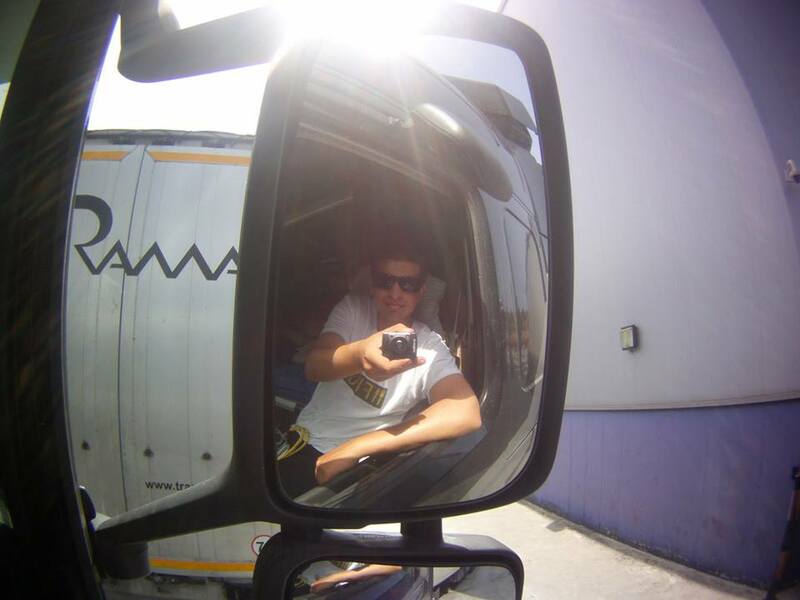 Last summer, he decided to leave Portugal and travel around several European countries. He entitled his project “Vou Ali e Já Venho“, which vaguely translates into “I’m going out and I’ll be right back”. This is a Portuguese expression you’d normally use before you head out to run a quick errand… but in this case, for Diogo, it was a life changing experience! 1 month. 31€. 7 countries. 1. 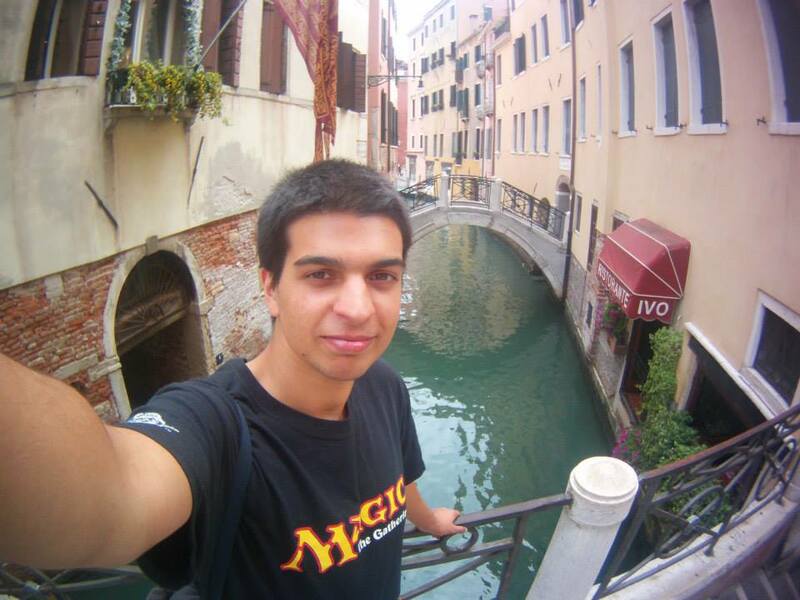 Diogo, when did your passion for travel start and how did it eventually evolve into this project? It all started more or less 4 or 5 years ago when I was attending 11th grade and I was selected to do an internship in The Netherlands. It was a 6 weeks internship when we’d be practically on our own in a new country. That’s how I started to be interested in new places, people and cultures. Ever since that time, my dream and idea of traveling all over the world has grown. I’d like to visit all the countries in the world with no exception! And I really mean with no exception. Sometimes people ask me about more problematic countries, like North Korea or Somalia, and I reply that those are exactly the countries that I am more keen to go to, as they are probably the most different as compared to whatever I am used to. So I had this dream of traveling around the world. But, as it happens to most people, I had been postponing it for several reasons. Although I am 20 years old right now (and I was 19 when I did this trip), just like many other people, I would have dreams but don’t do anything about them, almost as if waiting for things to happen on their own. It was 2013 and I was in touch with some older people that would tell me exactly that: that when they were my age, they had several dreams that eventually ended up being parked on the side because life got in the way. And that’s when I decided “this is it!” I don’t want to be 70 or 80 and have grandkids, or even 30 or 40 with kids and have to tell them that I too have pending dreams! So I decided that now was the best time to start making my dream come true. When I decided I was going to travel in 2013, I started by analyzing what kind of obstacles I’d have in my way. My cons would be basically 2 things: time and money. Time, because such a long trip can’t be done in a week, month or even 5 months. A trip around the world would take several years. Regarding money, we always think traveling is for a few privileged ones. The general idea is that travel is not cheap. Giving this, I had 2 options: to work around these issues or park them aside. If I wanted to follow my dreams, I’d have to keep it positive! And that’s how the first trip of “Vou Ali E Já Venho” started. Once I was time constrained (due to my Engineering studies and participation in several student and humanitarian organizations) I decided I could organize my travels in stretches of a few months. I would start in Europe, which is right here, and then take it from there. I decided to take off for a 1 month in Europe, during my August vacations. My main issue, still, was money. Unfortunately, I don’t have money to travel – I am a scholarship college student. At first, I thought I could do a low-cost trip… maybe save up 500 to 1500 euros and go for it. But then I realized that if I had to wait for all the time it’d take me to save the money, I’d be postponing it once again and maybe giving it all a chance to fail. To avoid that, I took a radical decision: I’d do it without the money! Symbolically, my budget would be 1 euro per day, that is 31 euros for the entire month of August. Whatever would happen, I’d have 31 euros to get around, no extra cards or savings. I didn’t want to plan much for this trip, because I wanted to travel, not really going as a tourist. Tourists have booked hotels, a time to be in a place, arranged transportation, they know when they’re going here or there… everything is under control. But I wanted the opposite: I wanted the trip to control me! I craved something spontaneous, genuine. For instance, I could end up in either Luxembourg or Belgium in a given day. This, along with having direct contact with local people, was the main thing about my trip. I felt the need to meet new people, different from those I was used to, and share my experiences while listening to others’ experiences too. Because of all of this, I didn’t really plan this trip much. 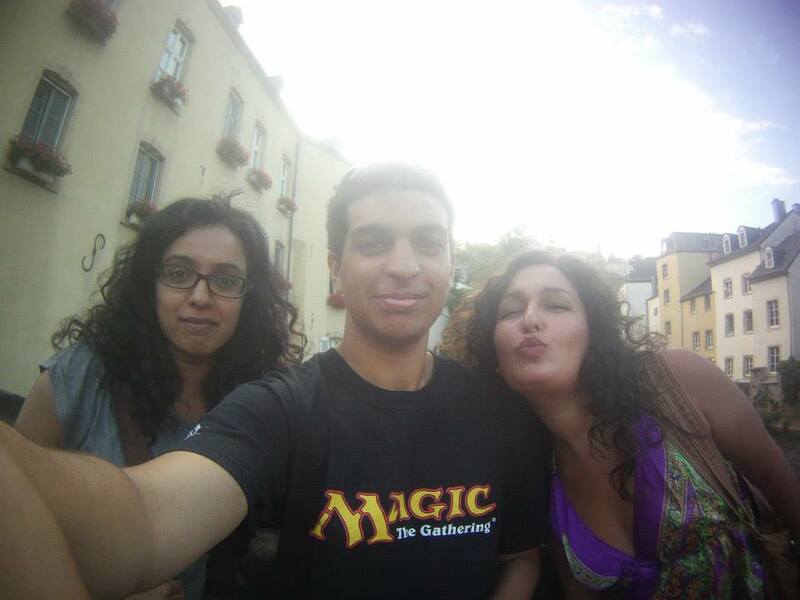 I planned how to leave Coimbra (Portugal) and how to come back to Coimbra, but that was about it. 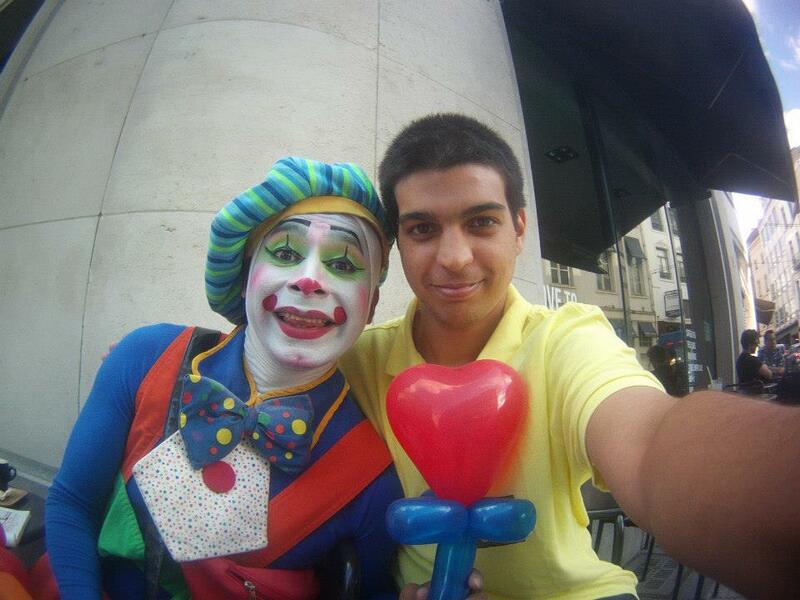 I made a few contacts all over Europe – there’s always a friend who has a friend somewhere. 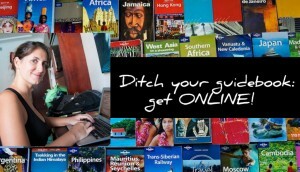 I gathered useful contacts and read a lot of info from other experienced travelers on their own blogs. And so I took off. 2. When you decided you were going to go for it, no matter the size of your savings, what kind of reactions did you get from people around you? My mother thought I was totally out of my mind when I told her I was planning this trip. She got pretty worried. But then she realized I was serious about it (and I am quite stubborn!) so she had no option but to support me. She was actually my main support during the whole thing. My friends wouldn’t also believe at first I could do this and some even thought I was just kidding. Eventually they all ended up supporting me as well. 3. How does one survive Europe with only 1€ a day? I always thought it would be possible to do this kind of trip, but it’s obvious that I had some fears. I never thought I could get robbed or something of the sort, but I feared for my physical integrity. I couldn’t be sure everything was going to be alright. In life, I believe that if you really desire something, then you’ve got to work to accomplish it. I had 31 euros, not a cent more. I also had a mobile phone with some credit, just in case. I was lucky to meet people that really helped me out donating money, offering me meals or a place to sleep. I’d go out to the streets, meet people, talk about my project or just make general conversation. People would talk back to me and some of them would fall in love with my project and would end up contributing and helping me out. For example, in Belgium, I was looking for the house of a lady that was going to host me (based on some contact from the previous place I had stayed at). I was lost and I asked a Belgium couple walking by for directions. I talked to them about my project and I even showed them a clipping from a Portuguese newspaper talking about my trip so that they could see I was for real. They were very interested as they saw in the newspaper I was from Coimbra, where the lady had also studied at some point. So we bonded over that and they bought me a meal. In Paris, I met a journalist from Reuters who took me out for a Lebanese dinner and offered me place to stay at. The thing that surprised me the most was encountering so many people who were solidary with me and that’s what made it all possible. 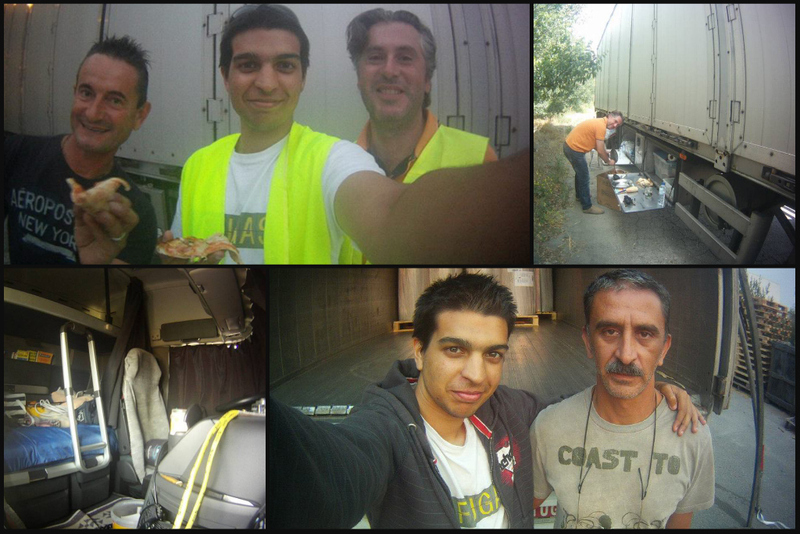 Even truck drivers who gave me rides… those guys are awesome! I spent a lot of time with truck drivers and they are really great. Some of them have fascinating knowledge and life experiences. They were all very friendly, even sharing their meals with me. I didn’t always need money, but I did get to work for 1 night in Luxembourg, for example, in order to pay for the ongoing trip. People would always ask me if I had a safe place to stay and a lady I met in the metro in France, not being able to help in any other way, simply handed me 10 euros. It all happened this way: it was very spontaneous. I didn’t ask for anything to anyone, but people would give me stuff by their own initiative. 4. What practical tips and advice would you share with people looking to travel Europe on a super shoe-string budget, just like you did? - Keep in mind that there are dangers so watch out, but don’t focus way too much on that. You’ve gotta be sharp, subconsciously, but don’t let that stop you from enjoying your travels. - Always, be humble when you meet new people. - Keep a neat look as well. In this kind of travel, it’s normal that you’d have the odd day when you can’t shower or shave… but if you plan on approaching people and that they eventually help you out, then you’ve got to look clean. This also applies when you plan on hitchhiking. - Don’t stress out: if you don’t get to shower one day, or even don’t eat much during a day, you’re not going to die because of that… Try to find solutions. There’s always a restaurant that won’t mind giving you a meal in return for a few hours of work. - Don’t carry too much weight on you. The least, the better. Just the bear minimum, really. You’ve got to walk a lot in this kind of trip, so carrying 1 or 2 backpacks of several KGs each will make you miserable. - Trust people. Don’t be naive, but learn how to trust. - Keep calm even when you’re in more difficult situations and there’s no one to help you. No one has to help you. No one has to be nice to you as such. Remember you might meet a lot of different people, more or less nice, but the important ones are those who are going to touch you in a positive way, with their small gestures. - Try to stay relaxed and don’t try to control the trip… let the trip take control of yourself and live the moment. Don’t spend too much time thinking about what you’re going to do in 4 hours while you’re sitting in the grass looking at the Eiffel Tower. Enjoy. - Learn how to deal with negative feelings. If you feel lonely or frustrated, don’t try to avoid that feeling. Instead, let it come to you, do its thing and then let it go. It won’t take long and it’ll be easier if you don’t try to avoid or fear this kind of feeling. In the end, just think that for each time that you didn’t feel that great you grew up a little more. - Share your experiences and try to get to know about others’ experiences too: whether it’s friends, family or even someone knew you just met. 5. Did you ever feel it wasn’t right to travel depending on the kindness of strangers? Did you face any criticism for your travel style? My intention was never to travel depending on the solidarity of others. It simply happened that I ended up meeting amazing people who helped me. This has everything to do with the mindset that I went on this trip with: I wanted the trip to control me, not the other way around. If I was to find a 5€ note on the floor, I wouldn’t leave it there for someone else to pick it up. So this is something similar: if people were willing to help me, why would I refuse? I never made anyone help me and, as I mentioned, I had 1€ for the worst case scenario. I was very fortunate and it all ended up going better than I expected. 6. What were your most memorable moments during the entire trip? 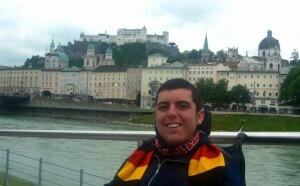 I visited 7 countries: France, Luxembourg, Belgium, Germany, Czech Republic, Austria and Italy. I also crossed Spain and, obviously, Portugal. I can’t point out a single country I liked the most as they all had something about them. But for instance, I really enjoyed the cosmopolitan vibes of Berlin, in Germany, or the architecture and classical meets modern looks of Vienna, in Austria. And from a human point of view, I really enjoyed the hospitality in Italy. I didn’t either have a single most memorable moment during this trip, as there were several ones. 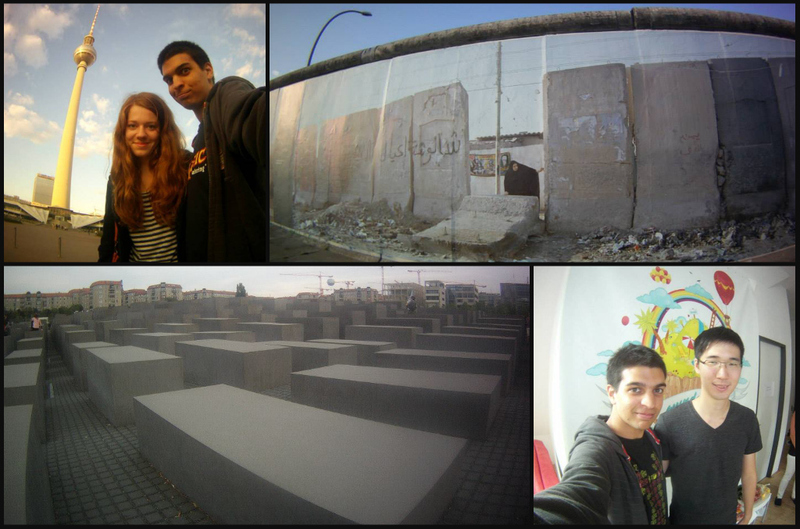 Some of the best moments where when I’d meet someone in a new country, who’d set me up with accommodation. Once again, hospitality in Italy was outstanding. I was hitchhiking in Austria on the way to Italy when I I got a ride in a tourist bus full of Italians on their way back from holidays in Poland. They took me in with such warmth and that made Italy, the last country I visited, a very special place, as I was really missing home by then. 7. Did you hit any lows while on the road? People would think that my main issue was money management, because I only had 31 euros. But to be honest, the most complicated part for me was managing my feelings. Mostly, because I felt lonely being all by myself thousands of kilometers from home. For example, it was complicated to manage the excitement to be in front of the Eiffel Tower for the first time, and not having anyone to share that moment with right next to me. It’s like the movie “Into The Wild”: one of the main teachings form this film is that “happiness is only real when shared“. During this trip, I experienced exactly that. That was the most difficult part. Doing a trip solo has its positive side as well, like the personal growth that happened. But it also has its downsides, like loneliness. There is nothing perfect. But I also learnt how to deal with those negative feelings over a period of time. Once again, this trip really helped me to grow as a person. 8. What would you say to people your age so that they can keep it positive and acknowledged that, one way or another, you can indeed manage to make your dreams come true? I truly believe that if we really want something in life, then we have to work to make it happen. When you deeply want something, then you can manage! Don’t leave your dreams out to die: think about your goals, about what’s keeping you from accomplish them, and work around it. Because life is too short and you don’t know what’s going to happen tomorrow. Don’t stay in your comfort zone waiting for things to happen, because they don’t happen on their own. Do something about it and you’ll see how it’s all worth it. 9. What are your next steps? Are you planning to do any traveling again soon? 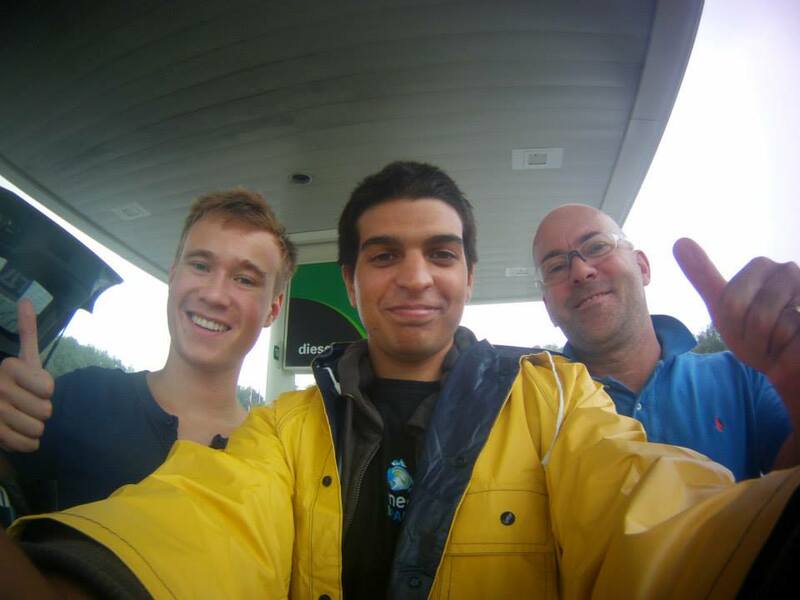 This was a great experience for me and, of course, I want to carry on traveling! Right now, I don’t know when or how I’ll go travel again, but I’m going to do something of this sort again, that’s for sure! Maybe not with only 1 euro per day again, but always with the idea in mind that I want to travel, not to be a tourist. It’ll always involve some degree of challenge. Keep an eye on my Facebook page to see what I am up to! What a great story! And what an awesome name for the trip. Wonderful! The name of the trip is a bit difficult to translate to English.. but in Portuguese is sounds really cool! What an inspiring story! Thank you so much for interviewing and sharing about his travels. Wow, what a nice story! I really loved reading it and identified greatly with Diogo :) I might meet him when I got back home. I’ll be sharing this wonderful post on FB and hopefully it will inspire more people. Oh yeah, you guys should totally meet up in Portugal. So inspiring, and I love Diogo’s advice about recognizing the sad or negative moments and just getting through them by acknowledging it. I’m traveling to Italy soon, and can’t wait to see if ‘going with the flow’ will work out just as well for me. 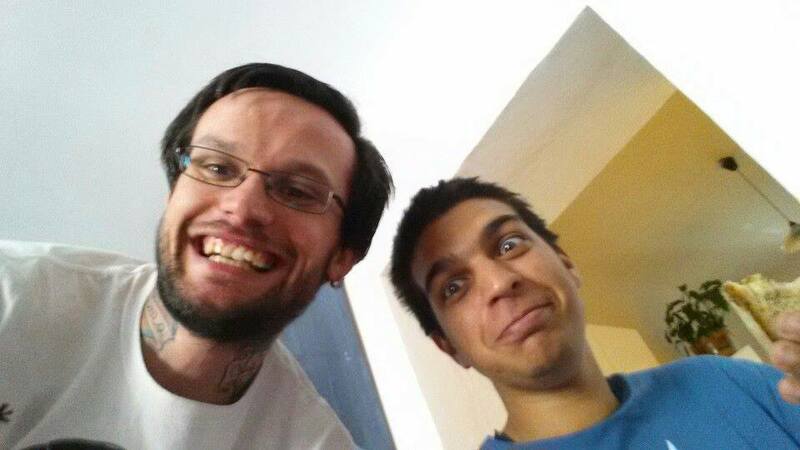 As per the interview, Diogo had an awesome time in Italy. Inspiring story, and love the great advice he gives at #4. The kindness of strangers really is astounding. Good people are everywhere! Wow, I thought that I’m travelling on a budget and saving every penny, but Diego’s definitely mastered that :) I’d love to have enough courage for the same adventure! World is a safe and happy place for those who believe in it.